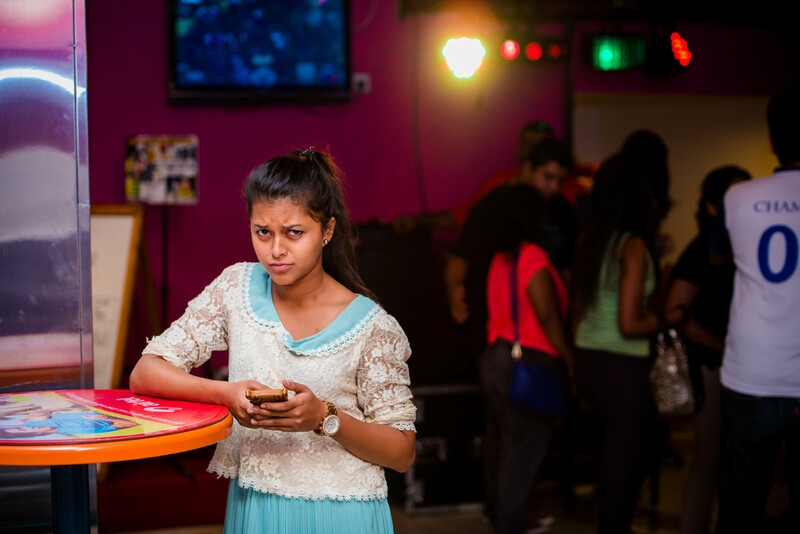 Yohani became an overnight Youtube sensation thanks to her mesmerizing cover versions of popular Sinhala and English songs. Some of her popular covers include Toxic, Love yourself, Satelite/Stealing Time, and a medley of Sinhala songs including Sayure, Katu Akule and Unmadha wu. She is not just another Youtube artiste who aspires to make it big in the music scene. She’s talented, she’s young, and she’s intelligent. She dreams of making it big in mainstream music.Her goal is to follow her passion while being a businesswoman. It is not easy to juggle many activities. But Yohani de Silva is confident that she will be successful in both endeavours as both business and music are close to her heart. Yohani broke into Youtube barely a year ago. “I just started it randomly,” was her reply when she was asked as to how she started. Yohani, only 24, is already a Youtube sensation. She has achieved an envious fan following thanks to her popular cover versions. She now resides in Australia where she is following her Masters degree. She did her schooling in Sri Lanka.Yohani is an old girl of Visakha Vidyalaya, Colombo where she studied up to her Ordinary Levels. She moved to England for her Advanced Levels. She then moved back to Sri Lanka for her degree in Logistics and Supply Chain, and then moved to Australia early this year to further her academic qualifications. Amidst her education, traveling and busy schedules, she has constantly kept in touch with her music sense, improving it day by day and exploring new avenues. Western music is nothing new to Yohani. “Since childhood I have been taking music classes. It is not something totally new to me,” she said, in an interview with the Nation from Melbourne. Apart from singing, she has also learnt to play the piano ata very young age. In addition, Yohani learnt to play the guitar through Youtube. Horne in the school band,” she added. Yohani explained that her foray into Youtube as a singer started only a year ago when a group of people persuaded her to sing. But Yohani had also done quite a few songs individually before becoming a Youtube artiste. “I did a few songs before and had uploaded them as well,” she added. So how have her parents taken up her passion for singing? Yohani says that her parents have been supportive of her decisions and have been encouraging her throughout. “I do not have any plans right now, but I am looking at breaking into the international market,” Yohani explained. Yohani feels that the fact that she is in Australia would help her broaden her horizons and get a wider reach. “Since I am in Australia right now, it gives me the opportunity to explore international markets, which is a good thing,” she pointed out. Yohani is clear about what she would be in 10 years. Apart from being an artiste, she also hopes to be a successful businesswoman. “I’ve always wanted to do business in logistics. So my plan is to do that while also focusing on my passion, which is music and singing,” Yohani explained. So far she has only performed cover versions of popular Sinhala and English songs. “I have so far done only cover versions. But I am also focusing on doing originals in future,” she said. Yohani has in fact already started working towards it. “I am looking for lyricists for an original. I will be working on one as soon as I find a good concept,” she said.